I need the joystick pen, i lose. I hope will be produced with 3D printing. And i also need to buy another scary-cable, i lose the address where i bought the last. How did you meet at first time with the Enterprise? Cool! , i just have ordered one cable. Thank you! Many Many years ago i bought my first EP on german ebay after i read about in a Retro Magazin. Then some time later i planed to setup and programm for it. I also bought an floppy interface , i think from you. BUT i never use it. I will develop some now for the EP, ONLY the graphics drive me crazy. No tool do draw the screens, sprites in a eays way. You can try CPCEPSprite for sprites. I also bought an floppy interface , i think from you. If I remember right it is with memory expansion, then still can be useful also when using SD adapter. I forget that is with memory expansion. I wan`t dawnload CPCEPsprite , but i seams is disable at the moment. Anyone can send me the actual version? I can boast of three machines EP128. 013048 - QWERTZ, boxed with complete accessories (power supply, cartridge, Hungarian instruction, cassette demo). 017842 - QWERTY, box in a little worse shape than the previous one, but also complete. 008879 - QWERTY, only computer with power supply and cartridge, damaged modulator, but I made myself RGB cable. On this last computer I run my projects. In addition, I have an original 3,5" floppy drive (serial number 0607) and original EXDOS interface (without box). I have an SD card reader from SzörG. 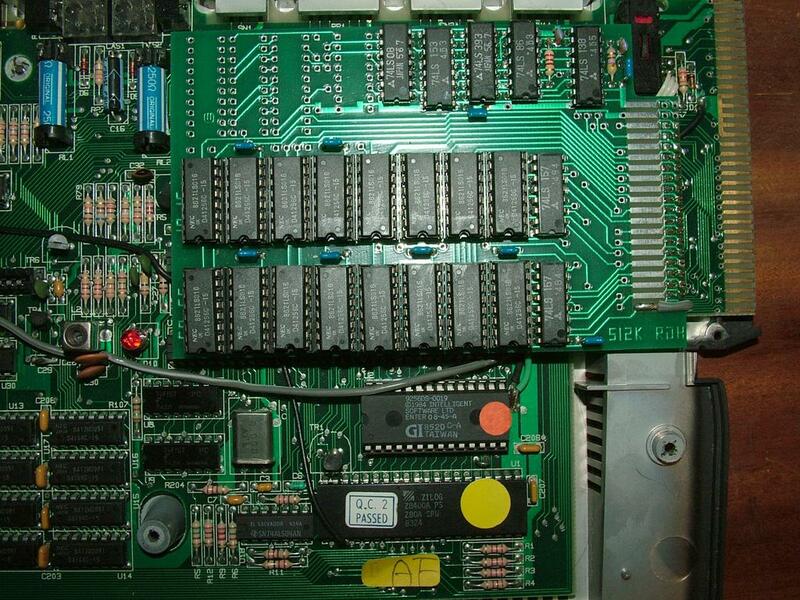 The rest is homemade ZX Spectrum Emulator and compact EXDOS with FlexiBridge. At the moment, thanks to gflorez, I'm working on PS/2 mouse interface (working name of the project is EnterMice). Almost ready is project of CF card interface (extension to my compact EXDOS) and, during the conceptual work, card RAM/Flash/Real Time Clock (RFC). I'm new to the forum. I'm the Lucky owner of an Enterprise 64 (Lansay 64) that I found a french flea market. The machine is in mint condition (never used and left in his box). Unfortunately there is an issue with the video output . I've created a thread under the hardware section to get assistance for repairing it. Wow! Amazing! You are the first known Lansay owner! How many pieces is on the list (I don't want to count) ? Currently 52 EP64, 308 EP128 (+4 Model 911 ) registered in the list. But there are many people who do not provide the serial numbers And I saw many machines on auctions where also no serial photo. I think these are least +50%. Here is the serial of one of my EP128 (German): 013102. I have another, unfortunately it is in my parents house. I recentely joined the forum after I revived (new membrane) my Enterprise 64 kb (s/n: 35376) and floppy-drive (s/n:0190). EXOS 2.1 and EXDOS 1.3. The Enterprise was upgraded to 576 Kb which I reduced to 320 kB due to some overheating. Did have a printer and working RGB connection with a Sony "monitor" but those were sold on a flee-market long ago. I remember buying some soft- and hardware at Werner Lindner in Germany. Speak-easy module was one of them. Tried some coding back then and discovered quit some nice features that way. Not pretending to be very good at it though! Amazed seeing the developments that are still going on in this community and if I can contribute in a way I would love to do so. my Enterprise 64 kb (s/n: 35376) and floppy-drive (s/n:0190). EXOS 2.1 and EXDOS 1.3. The Enterprise was upgraded to 576 Kb which I reduced to 320 kB due to some overheating. This type RAM expansion you have? I suggest find a HY53C256 RAM ICs, these use less power, because these are CMOS ICs. At here you can find some dutch magazines. Do you have more? ah, a new member! welcome!!! any lost materials are treasure for me! As you can see fine people can aid you to fix your equipment.